Earthquakes don’t kill, buildings do. Delhi-based non-profit Centre for Science and Environment (CSE) has pointed out the systemic issues that result in construction of unsafe buildings. Anumita Roychowdhury, CSE’s executive director for research and advocacy and head of its “green buildings” programme, says the lack of regulations for construction and monitoring of buildings makes a huge proportion of them unsafe. “The large number of deaths in Nepal and India should immediately lead to a reflection on the nature of our buildings, and whether these will be able to withstand an earthquake of moderate to high intensity,” she says. A survey by the National Disaster Management Authority (NDMA) has found that in the last 25 years, more than 25,000 human fatalities were caused primarily by collapse of buildings during earthquakes. “The condition and quality of Indian building stock is poor when it comes to seismic performance—in fact, the observed performances of reinforced concrete (RC) buildings are highly unsatisfactory,” says Avikal Somvanshi, senior research associate at CSE. Somvanshi says that during the 2001 Bhuj earthquake, RC buildings collapsed due to an earthquake of just 6 on the Richter scale, when a well-designed RC building should be able to withstand an earthquake of up to 7.5 on the Richter scale. The damage caused to these buildings is unreasonably high compared to any other country for similar level of ground-shaking. Thus, the housing risk in the country should be minimised to reduce losses to life and property in future earthquakes, he says. Today, India has a fairly good range of seismic codes covering a variety of structures, ranging from mud or low strength masonry houses to modern buildings. “However, the key to ensuring earthquake safety lies in having a robust mechanism that enforces and implements these design code provisions in actual constructions. These codes are mandated for new construction, but we have regular instances of buildings collapsing even in absence of earthquakes, which reflects how effectively they are enforced,” says Somvanshi. While new building codes can apply to new buildings, there is also a need to retrofit existing buildings to make them safer. 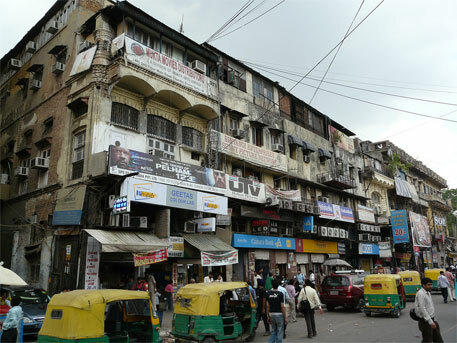 There are around 2.5 million such buildings in Delhi alone. However, while the know-how for retrofitting is in place, neither a survey nor an effort to initiate this massive project has begun. “Immediately after an earthquake, there is some discussion around safety of buildings, but in a few days the issue is forgotten,” says Roychowdhury. It is estimated by experts that India is likely to report heavy casualties if a moderate earthquake strikes, particularly in large cities including Delhi. “Ninety per cent of the building designs in the capital are either by the mason or the contractor. Newly constructed houses rarely abide by the meticulous National Building Code-2005, Master Plan of Delhi-2021, Vulnerability Atlas-2006, building by-laws, or the housing construction, planning, development and regulatory authorities. The seasonal wear and tear demand is rarely met,” says Somvanshi. CSE researchers point out that the Tejendra Khanna Committee, set up in 2006 to look into various aspects of unauthorised constructions and misuse of premises in the city, found that almost 80 per cent structures had violated Building and Development Control Regulations. It stated that the formalities required for obtaining a building completion certificate or to get a building plan sanctioned are tedious, so owners seldom procure them. In April 2011, the Delhi government made it mandatory for all builders to submit sanctioned building plans along with structural safety certificates for their new buildings. Within days, the number of applicants for property registration saw a drastic fall. Ten days later, Municipal Corporation of Delhi (MCD) informed the government that it did not have enough engineers to issue the certificates. The order was revoked. When it comes to approvals, research has shown that most builders get only the ground floor approved. “Four to five floors are added once the completion and occupancy certificates for the ground floor are obtained,” a contractor told Down To Earth during a study. “Adhering to planning norms, by-laws and safety standards wastes valuable floor space. Financial stakes are too high in these small- and medium-scale projects to allow such wastage of saleable floor area,” the contractor admits blatantly. Regulations require urban local bodies to check conformity of structures with the approved drawings while granting completion and occupancy certificates. The National Building Code 2005 states that non-compliance with the sanctioned drawings should invite suspension of further construction till the required changes are put in place, and demolition of illegal portions. Urban local bodies claim that inspections usually cannot be carried out because they are severely short of humanpower.